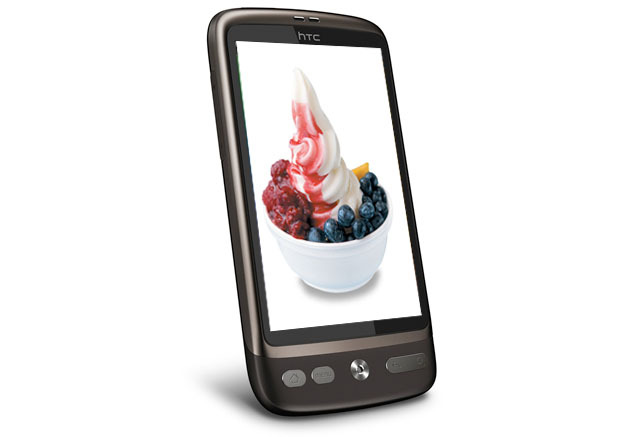 HTC Desire to get Android 2.2 in late June? Android 2.2 might already be rolling out to the Nexus One — but what about it’s nearly-identical European brother, the HTC Desire? If a random HTC customer service rep is to be believed — which we generally wouldn’t recommend — the Desire should be seeing Android 2.2 in all of its Flash-packin’, performance-boosting glory within the next month. Our buds over at Phandroid spotted this gem on XDA-Dev. The tale, as its told: a grumpy customer decided to ring up HTC about his Desire’s inability to store applications on the SD card — an issue which is nullified in Android 2.2. But you never heard this from me…. A new update is coming the 23rd of June and you will be able to put some apps on to the micro sd card. So, in other words: according to a forumgoer who purportedly spoke to a CS rep who allegedly had inside info on the HTC Desire’s update plans, Android 2.2 is coming to the Desire on June 23rd. Take it as you will, won’t you? Android 2.2 sets Android 2.1 on fire. From the friction. Because it’s so fast. Man oh man. While it may just be benchmark scores at this point, this kind of speed increase is nothing to snuff at. 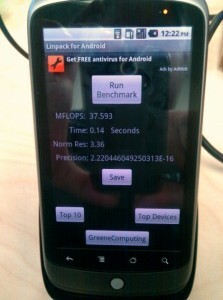 Ian Douglas has run some benchmarks on his Froyo-powered Nexus One, and it’s scoring almost 5 times better. To be a bit more specific, an Eclair-powered Nexus One usually scores around 6-7 MFLOPS in Linpack benchmarks, but this shiny new Froyo build delivers a blistering 38-40 MFLOPS. The magic comes from the spankin’ new JIT compiler included in the Froyo build. Now, as I said before, these are just benchmark results, so real-world performance will differ. Android And Me point out that Android apps will probably have to be tweaked to take full advantage of the new compiler, so it could be a few months after release before Android users really start seeing a difference. Yesterday, a video showing off Flash 10.1 on a Froyo-powered Nexus One emerged. This bump in speed could explain how it was able to run so smoothly. Subscribe to TechTengu and get the latest reviews and updates about smartphones!